Sew & Tell: January Goals Recap! Hmmm... over a week into the month and I'm finally getting a chance to check-in on how I did with my January goals.... and I promise I have my February goals written up - will post those soon, too! I think I did pretty great on this one! During the month of January I sewed 57 items - and 9 of those items were "just because" / not for paid orders. Yes, I realize that's only 15.8% - but that is a MUCH higher percentage than I have had in the past. Included in those 9 items were BOM quilt blocks, some fun "add-ons" to paid orders that were gifts for a friend, and Project Quilting sewing! I completed challenges 1 and 2 during January - my "Bath Time" wall hanging and a fun construction wall hanging for Colby's room. A fun bonus: I have won prizes both weeks so far - as one of the random winners! Score! Week 1 I won a sewing pattern, and week 2 I won a quilt pattern book. I recruited my mom to do this BOM with me! I got my blocks sewn up on 1/7 - can you tell I was excited?! It took me forEVER to decide on the fabrics.... but I'm happy with what I picked! This one was a "maybe" on the list - and I joined in! 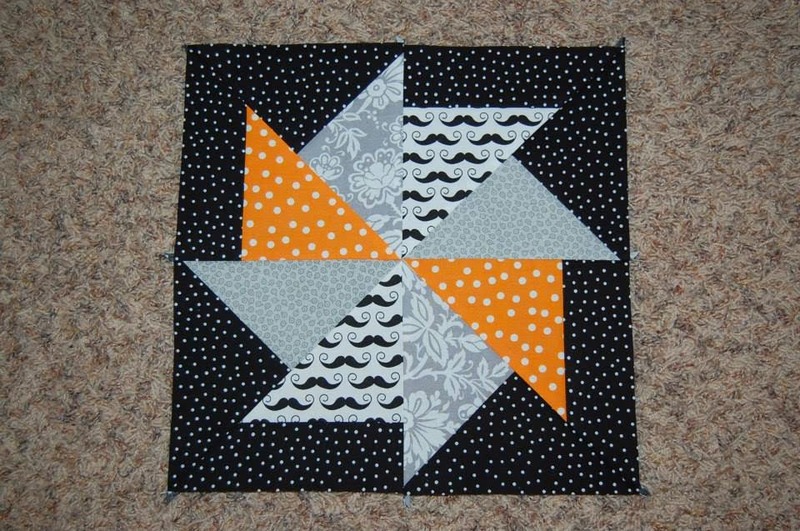 I found a FUN quilt pattern that has football blocks - and after I saw that, I thought it would be fun to make a quilt using some of the football blocks as well as all sorts of black / orange / grey / white blocks from a few QALs / BOMs - the hubby and I are Oregon State University alumni and LOVE football - and the team colors are orange & black. Should be fun and scrappy - and I'll be able to work on it throughout the year and finish it up during football season! My January block! 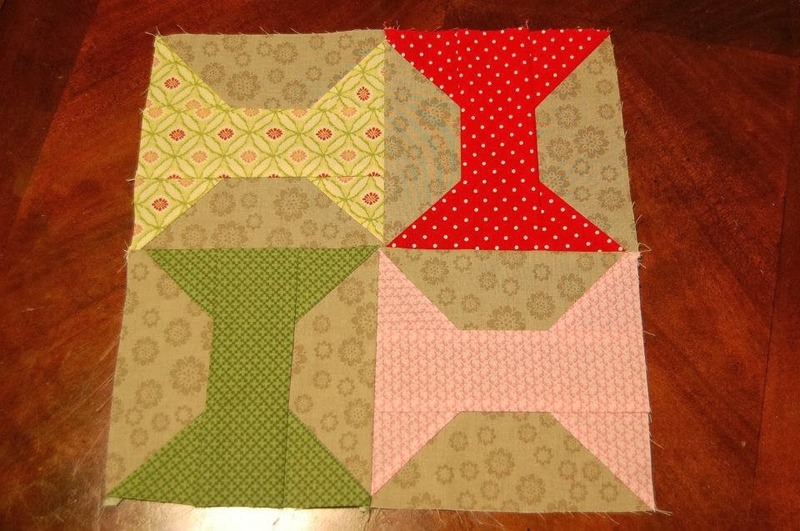 These are big blocks - - - 14" plus seam allowance! I decided not to join in on this one. Didn't feel like my style and I had LOTS of other fun things I was excited about! Oh - and one of my non-sewing goals is to find / make more "me" time and.... of course.... eat healthier / exercise more. A friend of mine started the Bikini Body Mommy 90 day challenge and I saw it as an opportunity to have some measurable, attainable goals - - - Today is day 23 and I have only "missed" one day (and I doubled up my workout the next day to catch back up!) - Wahoo!!!! I'll get a post written up about February's goals ASAP..... because there are only 20 days left in the month and 9 of those days we're on vacation! Hahahaha. Wahoo for meeting all the goals!